Engineers and people in Web Development often put a ridiculous amount of time on optimising websites. They do this to let the user wait the least amount possible for the next page. Not just because these engineers care about the user, but also because every second waited costs money in lost revenue. You obviously can’t just invest in a bigger server whenever you hit a performance bump. That would not be very effective and would not make economical sense. Experienced WordPress people use caching plugins instead. The hard part for a server during a page request is usually not the serving of the content to the user, but the process of compiling that content from WordPress. But usually the caching plugins have a neat trick up their sleeve: They serve pre-compiled content to the user. The content is only re-compiled when it changes and that saves a lot of calculation time. So naturally, the first goto solution for enhanced performance is a cache plugin like WP Rocket or WP Super Cache. But to be perfectly clear: Quicklink is not a replacement to these cache plugins! It is an enhancement, that works together with these systems! The quicklink plugin actually does not do a lot. It is very lean and small. But what it does is pure magic! In short, it reduces the loading time your users need to navigate through your page by make loading the next page feel instant. This is done by a concept called ‘prefetching’. In a perfect world the browser would know where you want to go next and start to preload this page. But the browser can (thankfully) not yet read your mind, so some system has to essentially guess where you want to go. Quicklink looks at what the user is looking at on the screen and analyses the links visible to the users. If that link fits a certain set of rules the page behind it will be preloaded. So when the user actually clicks the preloaded link, the HTML-data for that target will not actually come from the server, but from the browser-cache of the user. And that is insanely fast! What does quicklink not do? As we explained above, quicklink will not create a server cache for you. The optimisation and speed gains from the plugin will come solely happen in the browser of the user. 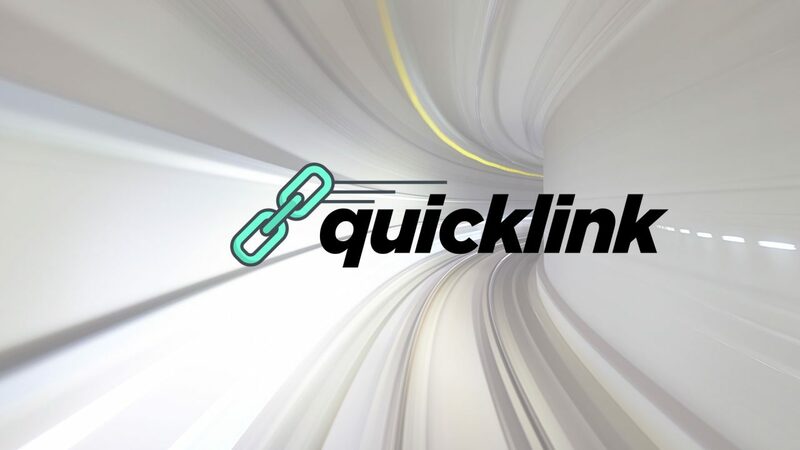 Additionally, quicklink will also not put extra pressure on your server, when it preloads the links, when you use it in tandem with a cache plugin. Quicklink is a very small and zero-config plugin that just works out of the box! You can’t configure anything in the WordPress backend, because you (usually) don’t need to. It’s like magic. So from our perspective there is no real reason NOT to use it. And the best thing about it? It’s free.